Middlesbrough was a rabble in the second half of the last English Championship campaign and tough times could lie ahead for Tony Mowbray’s mob throughout the new season. No English Championship team accrued fewer points than Middlesbrough in their second set of 23 matches last term, with Boro’s 18-point haul being inferior to Millwall (19), Wolverhampton (20) and their other 21 divisional rivals. Scratch deeper and one will find that Middlesbrough earned only one away point from its last 11 away games having picked up 16 points from its first 12 road matches. Middlesbrough travels to Charlton on Saturday and, at odds of 2.25 with 888Sport, the Addicks make great appeal against Boro. Middlesbrough’s first two games this term have resulted in a 1-2 English Championship home loss to Leicester – the away side scored for its host – and a 1-2 English Capital One Cup home loss to Accrington, a side that most English League Two fans think will be near the foot of that division’s ladder. Charlton finished just three points outside the English Championship play-off zone last season. The Addicks went down 1-2 at promoted Bournemouth in the opening round but they bounced back with an emphatic 4-0 home victory over Oxford in the English Capital One Cup. That was a very impressive result when one considers that the Us had thrashed Portsmouth 4-1 on the road last weekend. With Middlesbrough heading towards an English Championship relegation fight and Charlton charting a course for another mid-table finish, the Addicks should be around 2.00 to beat Boro at The Valley. Anything odds against represents value. Dropping down to English League One and, if Milton Keynes considers itself to be a legitimate promotion contender, it should be taking care of business at home to Crewe. The Dons drew 0-0 at Shrewsbury last weekend and followed up that sound effort with a 2-1 English Capital One Cup win at Northampton. Those are more than respectable results. 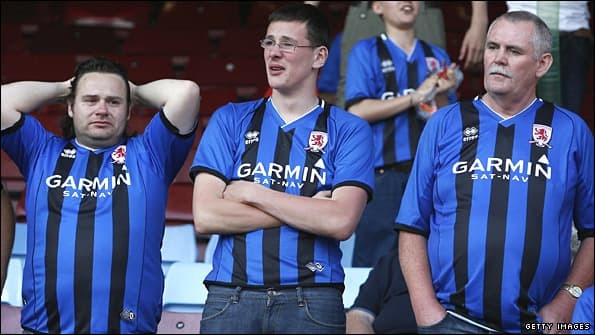 Crewe, on the other hand, has drawn 3-3 at home to promoted Rotherham in spite of leading 2-0 after only nine minutes and slumped to a 2-3 English Capital One Cup defeat away to relegated Bury. The Alex led early at Gigg Lane but ended up well beaten. Sometimes Crewe tries to play too much pretty football and it comes unstuck in the English lower leagues. Our generous friends at Ladbrokes are offering odds of around 1.80 that Milton Keynes marks its first home appearance of the new term with a victory and those prices are more than big enough. Partick earned a point on its Scottish Premier League return after nine years in the wilderness, drawing 0-0 with Dundee United at Firhill. But the top-flight honeymoon for the Jags could end on Saturday when they travel north to Dingwall to face one of Scotland’s most underrated teams, Ross County. Bet365 amongst others are quoting odds of around 2.10 about the Staggies are likely to find themselves doing brisk business. Ross County finished fifth in the Scottish Premier League last term and one of the primary reasons why it climbed so high was its home record. The Staggies won eight and drew eight of their 19 matches in front of their own supporters and one has to remember that they entertained Celtic three times. The Bhoys did not leave Dingwall with a victory. No-one is saying that Ross County is going to mix it with the sides that are targeting second spot in the Scottish Premier League behind Celtic but surely the Staggies are worthy of being odds-on favourites at home to a Partick outfit that is new to the top level of Scottish football. Watford almost made the short list at odds of 1.73 available at BetVictor to defeat Bournemouth at Vicarage Road. The Hornets have kicked off in excellent form, beating Birmingham 1-0 and Bristol Rovers 3-1 ahead of their first home game. The trouble is that the Cherries are two from two as well and their morale will be high after overcoming Portsmouth in one of the English Capital One Cup first-round blockbusters. Watford ought to collect three points – Hornets boss Gianfranco Zola has assembled an impressive international roster – but bookmakers are not a million miles wide of the mark.